Can You Turn Right on a Red Light in Texas? 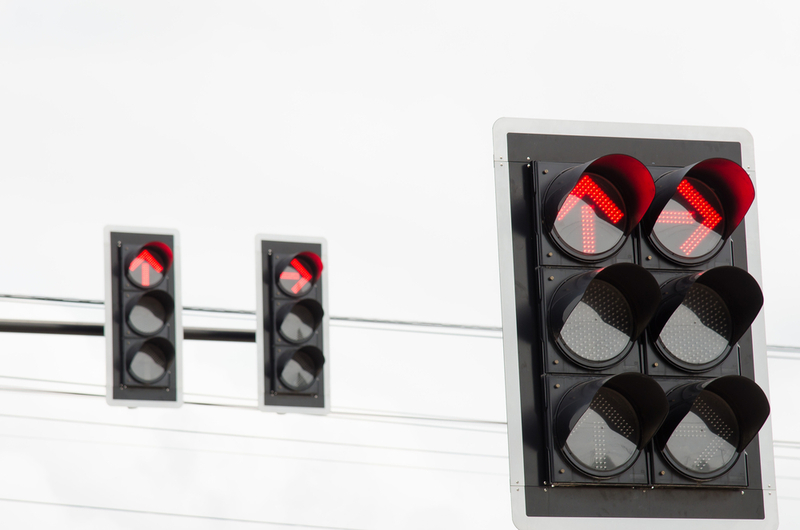 We all know that a red light means stop, but it’s sometimes difficult to know what you can and can’t do after a stop light. For instance, is it ok to turn right? The answer is a resounding yes. In fact, a right turn on red after stop is legal in all 50 states and has been since 1978. There are very occasional exceptions, like New York City, for instance, but by and large it’s perfectly legal to turn right on red. But what is the specific law in Texas? And are there any exceptions? We’ll give you some simple pointers so you can make sense of everything when it comes to turning right after stop. 2. You may make a right turn on red (after stopping) from both the left and right lanes of dual right turn lanes unless there are specific signs prohibiting it. 3. Be aware that there can be “no turn on red” signs prohibiting a right turn on a red light. So there you have it. It is ok to turn right on red in Texas as long as you stop at the correct place before turning and remember to pay attention to specific no turn on red signs. In all this, remember to drive defensively. We’re all about helping you maintain safe driving habits, but we’re also here when you mess up and get a ticket. Don’t hesitate to check out our online defensive driving course today to learn good habits and dismiss your ticket.